"The corrupt order will come crashing down!!" Amazon Studios has debuted the first official teaser trailer for Peterloo, the latest film from acclaimed, Oscar-winning English filmmaker Mike Leigh (Vera Drake, Happy-Go-Lucky, Another Year, Mr. Turner). The film tells the story of the 1819 Peterloo Massacre where British forces attacked a peaceful pro-democracy rally in Manchester. This seems like a very timely story to tell, about how important democracy and peaceful protest is for a just and progressive society. The ensemble cast of Peterloo includes Rory Kinnear, Maxine Peake, Tim McInnerny, Christopher Eccleston, Leo Bill, David Bamber, and others. This looks good, for sure, I just hope it's actually exciting to watch and enthralling, not another long, boring, dry period piece from Leigh. The footage so far is very impressive. Internationally acclaimed and Oscar-nominated filmmaker Mike Leigh portrays one of the bloodiest episodes in British history, the infamous Peterloo Massacre of 1819, where government-backed cavalry charged into a peaceful crowd of 80,000 that gathered in Manchester, England to demand democratic reform. 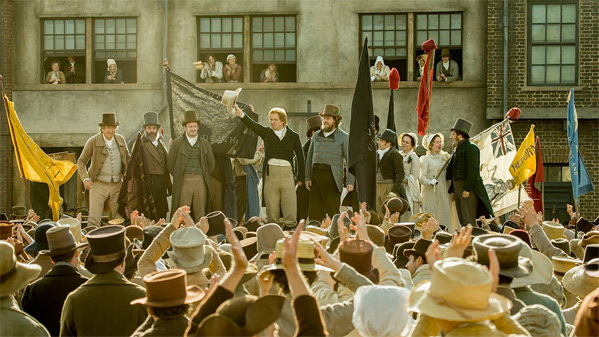 Peterloo is both written and directed by acclaimed English filmmaker Mike Leigh, director of the films Bleak Moments, High Hopes, Life Is Sweet, Naked, Secrets & Lies, Career Girls, Topsy-Turvy, All or Nothing, Vera Drake, Happy-Go-Lucky, Another Year, and Mr. Turner previously. This is expected to first premiere at film festivals in the fall, with announcements coming soon. 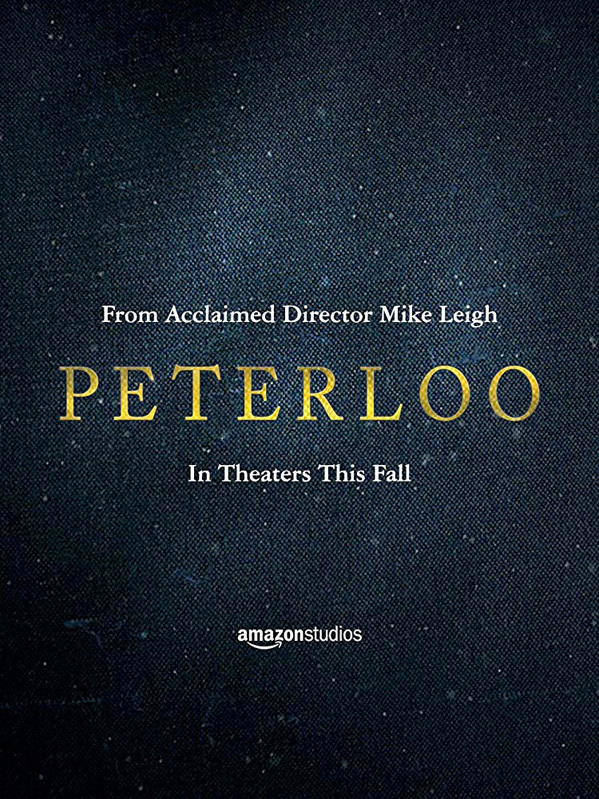 Amazon Studios will then release Leigh's Peterloo in select theaters starting November 9th later this fall. First impression? Your thoughts?